The HHS's multi-million-dollar contract with UCSF that requires the construction of these “humanized mice” creates a demand--driven by federal tax dollars--for tissue taken from late-term aborted babies. According to an estimate it has published on its website, the National Institutes of Health (which is a division of HHS) will spend $95 million this fiscal year alone on research that--like UCSF's "humanized mouse" contract--uses human fetal tissue. 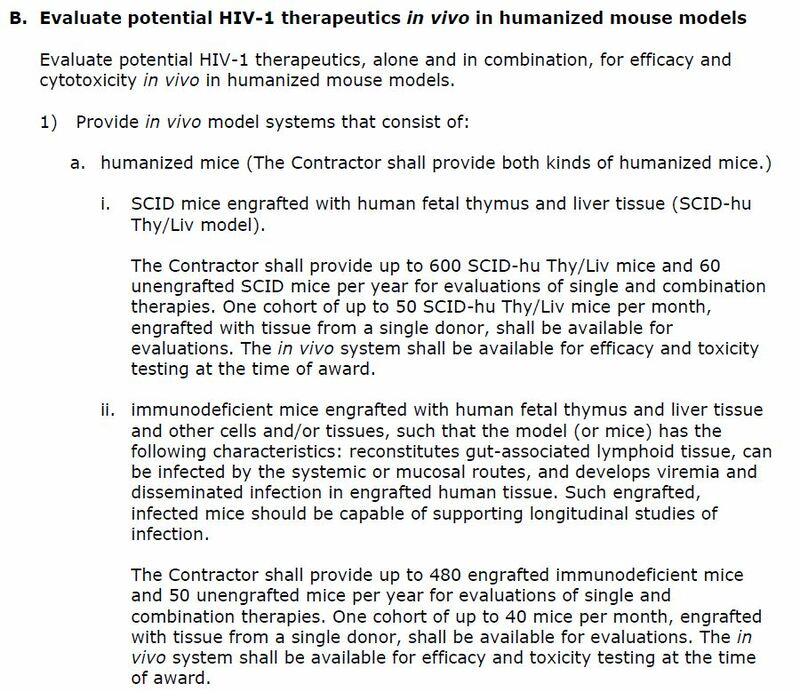 Under the new 90-day extension, the contract—which the government calls “Humanized Mouse Models for HIV Therapeutics Development”--will run through June 5.